For other people named Charles Parker, see Charles Parker (disambiguation). Charles Parker Jr. (August 29, 1920 – March 12, 1955), also known as Yardbird and Bird, was an American jazz saxophonist and composer. Parker was a highly influential jazz soloist and a leading figure in the development of bebop, a form of jazz characterized by fast tempos, virtuosic technique and advanced harmonies. Parker was a blazingly fast virtuoso, and he introduced revolutionary harmonic ideas including rapid passing chords, new variants of altered chords, and chord substitutions. His tone ranged from clean and penetrating to sweet and somber. Parker acquired the nickname "Yardbird" early in his career on the road with Jay McShann. This, and the shortened form "Bird", continued to be used for the rest of his life, inspiring the titles of a number of Parker compositions, such as "Yardbird Suite", "Ornithology", "Bird Gets the Worm", and "Bird of Paradise". Parker was an icon for the hipster subculture and later the Beat Generation, personifying the jazz musician as an uncompromising artist and intellectual rather than just an entertainer. Charles Parker Jr. was born in Kansas City, Kansas at 852 Freeman Avenue, and raised in Kansas City, Missouri near Westport and later – in high school – near 15th and Olive Street. He was the only child of Charles Parker and Adelaide "Addie" Bailey, who was of mixed Choctaw and African American background. He attended Lincoln High School in September 1934, but withdrew in December 1935, just before joining the local musicians' union and to pursue his musical career full-time. His childhood sweetheart and future wife, Rebecca Ruffin, graduated from Lincoln High School in June 1935. Parker began playing the saxophone at age 11, and at age 14 he joined his high school band where he studied under Bandmaster Alonzo Lewis. His mother purchased a new alto saxophone around the same time. His father, Charles Sr., was often required to travel for work, but provided some musical influence because he was a pianist, dancer and singer on the T.O.B.A. circuit. He later became a Pullman waiter or chef on the railways. Parker's mother Addie worked nights at the local Western Union office. His biggest influence at that time was a young trombone player named Robert Simpson, who taught him the basics of improvisation. In the mid-1930s, Parker began to practice diligently. During this period he mastered improvisation and developed some of the ideas that led to the later development of Bebop. In an interview with Paul Desmond, he said that he spent three to four years practicing up to 15 hours a day. Bands led by Count Basie and Bennie Moten certainly influenced Parker. He played with local bands in jazz clubs around Kansas City, Missouri, where he perfected his technique, with the assistance of Buster Smith, whose dynamic transitions to double and triple time influenced Parker's developing style. In late spring 1936, Parker played at a jam session at the Reno Club in Kansas City. His attempt to improvise failed when he lost track of the chord changes. This prompted Jo Jones, the drummer for Count Basie's Orchestra, to contemptuously throw a cymbal at his feet as a signal to leave the stage. However, rather than discouraging Parker, the incident caused him to vow to practice harder, and turned out to be a seminal moment in the young musician's career when he returned as a new man a year later. Parker proposed to his wife, Rebecca Ruffin, the same year and the two were married on July 25, 1936. In the fall of 1936, Parker traveled with a band from Kansas City to the Ozarks for the opening of Clarence Musser's Tavern south of Eldon, Missouri. Along the way, the caravan of musicians had a car accident and Parker broke three ribs and fractured his spine. The accident led to Parker's ultimate troubles with pain killers and opioids, especially heroin. Parker struggled with drug use for the rest of his life. Despite his near death experience on the way to the Ozarks in 1936, Parker returned to the area in 1937 where he spent some serious time woodshedding and developing his sound. In 1938 Parker joined pianist Jay McShann's territory band. The band toured nightclubs and other venues of the southwest, as well as Chicago and New York City. Parker made his professional recording debut with McShann's band. In 1939 Parker moved to New York City, to pursue a career in music. He held several other jobs as well. He worked for nine dollars a week as a dishwasher at Jimmie's Chicken Shack, where pianist Art Tatum performed. It was in 1939 in New York that Parker had his musical breakthrough that had begun in 1937 in the Missouri Ozarks. Playing through the changes on Cherokee, Parker discovered a new musical vocabulary and sound that forever shifted the course of music history. In 1940, he returned to Kansas City to perform with Jay McShann and to attend the funeral of his father, Charles, Sr. He played Fairyland Park in the summer with McShann's band at 75th and Prospect for all-white audiences. The up-side of the summer was his introduction to Dizzy Gillespie by Step Buddy Anderson near 19th and Vine in the summer of 1940. After the summer season at Fairyland, Parker left with McShann's band for gigs in the region. On a trip to Omaha he earned his nickname from McShann and the band after an incident with a chicken and the tour bus. In 1942 Parker left McShann's band and played for one year with Earl Hines, whose band included Dizzy Gillespie, who later played with Parker as a duo. This period is virtually undocumented, due to the strike of 1942–1943 by the American Federation of Musicians, during which time few professional recordings were made. Parker joined a group of young musicians, and played in after-hours clubs in Harlem, such as Clark Monroe's Uptown House. These young iconoclasts included Gillespie, pianist Thelonious Monk, guitarist Charlie Christian, and drummer Kenny Clarke. The beboppers' attitude was summed up in a famous quotation attributed to Monk by Mary Lou Williams: "We wanted a music that they couldn't play". According to an interview Parker gave in the 1950s, one night in 1939 he was playing "Cherokee" in a jam session with guitarist William "Biddy" Fleet when he hit upon a method for developing his solos that enabled one of his main musical innovations. He realized that the 12 semitones of the chromatic scale can lead melodically to any key, breaking some of the confines of simpler jazz soloing. On November 26, 1945, Parker led a record date for the Savoy label, marketed as the "greatest Jazz session ever." Recording as Charlie Parker's Reboppers, Parker enlisted such sidemen as Gillespie and Miles Davis on trumpet, Curly Russell on bass and Max Roach on drums. The tracks recorded during this session include "Ko-Ko", "Billie's Bounce" and "Now's the Time". In 1952 Parker and Gillespie released an album entitled "Bird and Diz". Shortly afterward, the Parker/Gillespie band traveled to an unsuccessful engagement at Billy Berg's club in Los Angeles. Most of the group returned to New York, but Parker remained in California, cashing in his return ticket to buy heroin. He experienced great hardship in California, eventually being committed to Camarillo State Mental Hospital for a six-month period. A longstanding desire of Parker's was to perform with a string section. He was a keen student of classical music, and contemporaries reported he was most interested in the music and formal innovations of Igor Stravinsky and longed to engage in a project akin to what later became known as Third Stream, a new kind of music, incorporating both jazz and classical elements as opposed to merely incorporating a string section into performance of jazz standards. On November 30, 1949, Norman Granz arranged for Parker to record an album of ballads with a mixed group of jazz and chamber orchestra musicians. Six master takes from this session became the album Charlie Parker with Strings: "Just Friends", "Everything Happens to Me", "April in Paris", "Summertime", "I Didn't Know What Time It Was", and "If I Should Lose You". In 1953, Parker performed at Massey Hall in Toronto, joined by Gillespie, Mingus, Powell and Roach.Unfortunately, the concert happened at the same time as a televised heavyweight boxing match between Rocky Marciano and Jersey Joe Walcott, so the musical event was poorly attended. Mingus recorded the concert, resulting in the album Jazz at Massey Hall. At this concert, Parker played a plastic Grafton saxophone. Parker's life was riddled with mental health problems and heroin addiction. This addiction caused him to miss performances and be considered unreliable. Heroin use was prevalent in the jazz scene, and users could normally acquire it with little difficulty. Although he produced many brilliant recordings during this period, Parker's behavior became increasingly erratic. Heroin was difficult to obtain once he moved to California, where the drug was less abundant, so he used alcohol as a substitute. A recording for the Dial label from July 29, 1946, provides evidence of his condition. Before this session, Parker drank a quart of whiskey. According to the liner notes of Charlie Parker on Dial Volume 1, Parker missed most of the first two bars of his first chorus on the track, "Max Making Wax". When he finally did come in, he swayed wildly and once spun all the way around, away from his microphone. On the next tune, "Lover Man", producer Ross Russell physically supported Parker. On "Bebop" (the final track Parker recorded that evening) he begins a solo with a solid first eight bars; on his second eight bars, however, he begins to struggle, and a desperate Howard McGhee, the trumpeter on this session, shouts, "Blow!" at him. Charles Mingus considered this version of "Lover Man" to be among Parker's greatest recordings, despite its flaws. Nevertheless, Parker hated the recording and never forgave Ross Russell for releasing it. He re-recorded the tune in 1951 for Verve. Parker's life took a turn for the worse in March of 1954 when his 3-year-old daughter Pree died. He attempted suicide twice in 1954, which landed him in a mental hospital. When Parker received his discharge from the hospital, he was clean and healthy. Before leaving California, he recorded "Relaxin' at Camarillo" in reference to his hospital stay. He returned to New York, resumed his addiction to heroin and recorded dozens of sides for the Savoy and Dial labels, which remain some of the high points of his recorded output. Many of these were with his so-called "classic quintet" including Davis and Roach. Since 1950, Parker had been living with Chan Berg, the mother of his son Baird (who lived until 2014) and his daughter Pree (who died at age 3). He considered Chan his wife although he never married her, nor did he divorce his previous wife, Doris, whom he had married in 1948. His marital status complicated the settling of Parker's estate and would ultimately serve to frustrate his wish to be quietly interred in New York City. Dizzy Gillespie paid for the funeral arrangements and organized a lying-in-state, a Harlem procession officiated by Congressman and Reverend Adam Clayton Powell, Jr., as well as a memorial concert. Parker's body was flown back to Missouri, in accordance with his mother's wishes. Berg criticized Doris and Parker's family for giving him a Christian funeral, even though they knew he was a confirmed atheist. Parker was buried at Lincoln Cemetery in Missouri, in a hamlet known as Blue Summit, located close to I-435 and East Truman Road. Parker's estate is managed by Jampol Artist Management. Parker's style of composition involved interpolation of original melodies over existing jazz forms and standards, a practice known as contrafact and still common in jazz today. Examples include "Ornithology" (which borrows the chord progression of jazz standard "How High the Moon" and is said to be co-written with trumpet player Little Benny Harris), and "Moose The Mooche" (one of many Parker compositions based on the chord progression of "I Got Rhythm"). The practice was not uncommon prior to bebop, but it became a signature of the movement as artists began to move away from arranging popular standards and toward composing their own material. While tunes such as "Now's The Time", "Billie's Bounce", "Au Privave", "Barbados", "Relaxin' at Camarillo", "Bloomdido", and "Cool Blues" were based on conventional 12-bar blues changes, Parker also created a unique version of the 12-bar blues for tunes such as "Blues for Alice", "Laird Baird", and "Si Si." These unique chords are known popularly as "Bird Changes". Like his solos, some of his compositions are characterized by long, complex melodic lines and a minimum of repetition although he did employ the use of repetition in some tunes, most notably "Now's The Time". Other well-known Parker compositions include "Ah-Leu-Cha", "Anthropology", co-written with Gillespie, "Confirmation", "Constellation", "Donna Lee", "Moose the Mooche", "Scrapple from the Apple" and "Yardbird Suite", the vocal version of which is called "What Price Love", with lyrics by Parker. Miles Davis once said, "You can tell the history of jazz in four words: Louis Armstrong. Charlie Parker". In 1995, the U.S. Postal Service issued a 32-cent commemorative postage stamp in Parker's honor. 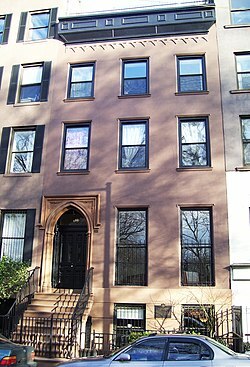 From 1950 to 1954, Parker and his common-law wife, Chan Berg, lived on the ground floor of the townhouse at 151 Avenue B, across from Tompkins Square Park in Manhattan's East Village. The Gothic Revival building, which was built about 1849, was added to the National Register of Historic Places in 1994 and was designated a New York City landmark in 1999. Avenue B between East 7th and East 10th Streets was given the honorary designation "Charlie Parker Place" in 1992. American composer Moondog wrote his famous "Bird's Lament" in his memory; published on the 1969 album Moondog. Since 1972, the Californian ensemble Supersax harmonized many of Parker's improvisations for a five-piece saxophone section. In 1973, guitarist Joe Pass released his album I Remember Charlie Parker in Parker's honor. Weather Report's jazz fusion track and highly acclaimed big band standard "Birdland", from the Heavy Weather album (1977), was a dedication by bandleader Joe Zawinul to both Charlie Parker and the New York 52nd Street club itself. Avant-garde jazz trombonist George Lewis recorded Homage to Charles Parker (1979). The opera Charlie Parker's Yardbird by Daniel Schnyder, libretto by Bridgette A. Wimberly, was premiered by Opera Philadelphia on June 5, 2015, with Lawrence Brownlee in the title role. In 1949, the New York night club Birdland was named in his honor. Three years later, George Shearing wrote "Lullaby of Birdland", named for both Parker and the nightclub. The 1957 short story "Sonny's Blues" by James Baldwin features a jazz/blues playing virtuoso who names Bird as the "greatest" jazz musician, whose style he hopes to emulate. In 1959, Jack Kerouac completed his only full-length poetry work, Mexico City Blues, with two poems about Parker's importance, writing in those works that Parker's contribution to music was comparable to Ludwig von Beethoven's. The Charlie Parker Jazz Festival is a free two-day music festival that takes place every summer on the last weekend of August in Manhattan, New York City, at Marcus Garvey Park in Harlem and Tompkins Square Park in the Lower East Side, sponsored by the non-profit organization City Parks Foundation. The Annual Charlie Parker Celebration is an annual festival held in Kansas City, Kansas since 2014. It is held for 10 days and celebrates all aspects of Parker, from live jazz music and bootcamps, to tours of his haunts in the city, to exhibits at the American Jazz Museum. In the short-story collection Las armas secretas (The Secret Weapons), Julio Cortázar dedicated "El perseguidor" ("The Pursuer") to Charlie Parker. This story examines the last days of a drug-addicted saxophonist through the eyes of his biographer. In 1984, modern dance choreographer Alvin Ailey created the piece For Bird – With Love in honor of Parker. The piece chronicles his life from his early career to his failing health. In 2005, the Selmer Paris saxophone manufacturer commissioned a special "Tribute to Bird" alto saxophone, commemorating the 50th anniversary of Parker's death (1955–2005). Parker's performances of "I Remember You" (recorded for Clef Records in 1953, with the Charlie Parker Quartet, comprising Parker on alto sax, Al Haig on piano, Percy Heath on bass, and Max Roach on drums) and "Parker's Mood" (recorded for the Savoy label in 1948, with the Charlie Parker All Stars, comprising Parker on alto sax, Miles Davis on trumpet, John Lewis on piano, Curley Russell on bass, and Max Roach on drums) were selected by literary critic Harold Bloom for inclusion on his shortlist of the "twentieth-century American Sublime", the greatest works of American art produced in the 20th century. A vocalese version of "Parker's Mood" was a popular success for King Pleasure. Jean-Michel Basquiat created many pieces to honor Charlie Parker, including Charles the First, CPRKR, Bird on Money, and Discography I.
Charlie Watts, drummer for the Rolling Stones, wrote a children's book entitled Ode to a High Flying Bird as a tribute to Parker. Watts has cited Parker as a large influence on his life when he was a boy learning jazz. The 2014 film Whiplash repeatedly refers to the 1937 incident at the Reno Cafe, changing the aim point of the cymbals to his head and pointing to it as proof that genius is not born but made by relentless practice and pitiless peers. Jazz historian Phil Schaap hosts Bird Flight, a radio show on WKCR New York that is dedicated solely to Parker's music. ^ "Charlie Parker Biography – Facts, Birthday, Life Story". Biography.com. Retrieved February 17, 2014. ^ "Charlie Parker". The New Grove Dictionary of Jazz. Retrieved April 23, 2012. ^ "Yardbird". Birdlives.co.uk. Archived from the original on December 19, 2013. Retrieved December 19, 2013. ^ a b c Haddix 2013. ^ Woideck 1998, p. 4. ^ Haddix 2013, p. 19. ^ Giddins 2013, pp. 21–23. ^ Woideck 1998, p. 8. ^ "Paul Desmond interviews Charlie Parker". puredesmond.ca. Archived from the original on July 6, 2011. Retrieved March 1, 2011. ^ Haddix 2013, p. 21. ^ Fordham, John (June 16, 2011). "A teenage Charlie Parker has a cymbal thrown at him". the Guardian. ^ Haddix 2013, p. 24. ^ a b Crouch 2013. ^ Woideck 1998, p. 18. ^ See Jazz, Episode 7: "Dedicated to Chaos: 1940–1945". ^ Blakely, Johanna (April 2010). Lessons from Fashion's Free Culture (TEDxUSC 2010). TEDTalks. Retrieved December 3, 2010. ^ "Bird and Diz - Charlie Parker, Dizzy Gillespie - Songs, Reviews, Credits - AllMusic". AllMusic. ^ Russell 1973, p. 273. ^ Cook, Richard; Morton, Brian (2008). The Penguin Guide to Jazz Recordings (9th ed.). Penguin. p. 1119. ISBN 978-0-141-03401-0. ^ a b Haddix 2013, pp. 149–152. ^ Fordham, John (October 23, 2009). "50 Great Moments in Jazz: The Quintet – Jazz at Massey Hall". The Guardian. ^ a b Haddix 2013, pp. 2–3. ^ Haddix 2013, pp. 117, 139–140. ^ a b Charlie Parker: a genius distilled. TheGuardian.com. March 21, 2010. Retrieved December 18, 2018. ^ Guntern, Gottlieb (2010). The Spirit of Creativity: Basic Mechanisms of Creative Achievements. Lanham, MD: University Press of America. p. 245. ISBN 9780761850519. In the late 1940s, Charlie Parker’s classic quintet—including trumpeter Miles Davis, drummer Max Roach, bass player Tommy Potter, and pianist Bud Powell—produced a series of masterpieces that reached the top of the rating scales. ^ Reisner 1977, p. 133. ^ Charles Baird Parker 61 Son of Jazz Great. Philly.com. Retrieved June 29, 2016. ^ Russell 1973, p. 361. ^ Richard Tucker. "Charlie Parker: 32 cents Commemorative stamp". Esperstamps.org. Archived from the original on July 19, 2011. Retrieved March 10, 2011. ^ "Charlie Parker Residence Designation Report" (PDF). 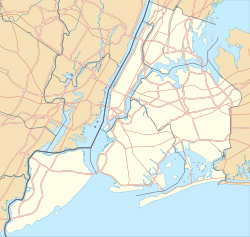 New York City Landmarks Preservation Commission. ^ Yanow, Scott. "Joe Pass: I Remember Charlie Parker". AllMusic.com. Retrieved July 1, 2016. ^ Jack Kerouac (1990). Mexico City Blues. Grove Weidenfeld. pp. 242–243. 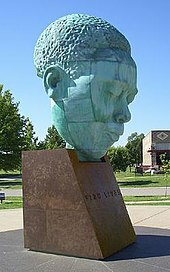 ^ "2nd annual Charlie Parker Celebration begins Thursday in Kansas City". KSHB. August 20, 2015. Archived from the original on February 11, 2017. Retrieved February 9, 2017. Crouch, Stanley (2013). Kansas City Lighting: The Rise and Times of Charlie Parker. New York: Harper Perennial. Giddins, Gary (2013). Celebrating Bird: The Triumph of Charlie Parker (Revised ed.). University of Minnesota Press. ISBN 978-0-8166-9041-1. Haddix, Chuck (2013). Bird: The Life and Music of Charlie Parker. University of Illinois Press. ISBN 978-0-252-09517-7. Reisner, George (1977). Bird: The Legend of Charlie Parker. New York: Da Capo Press. Russell, Ross (1973). Bird Lives! The High Life & Hard Times of Charlie (Yardbird) Parker. New York: Charterhouse. ISBN 0-306-80679-7. Woideck, Carl (1998). Charlie Parker: His Music and Life. Ann Arbor: University of Michigan Press. ISBN 0-472-08555-7. 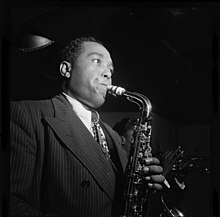 Wikimedia Commons has media related to Charlie Parker.